This day is a journey, this very moment an adventure. (Rebecca Pavlenko) My little family enjoys adventure. I love leaving the routine behind and letting the dust settle on the furniture without a care. So far, we love camping, hiking, backpacking, biking, bouldering, fly fishing, etc. Since moving to CO, we have added skiing, sledding, and snow shoeing to that list. When we moved to CO from NC, we hooked up our Coachman camper, packed our supplies, and headed cross country, enjoying adventures along the way. 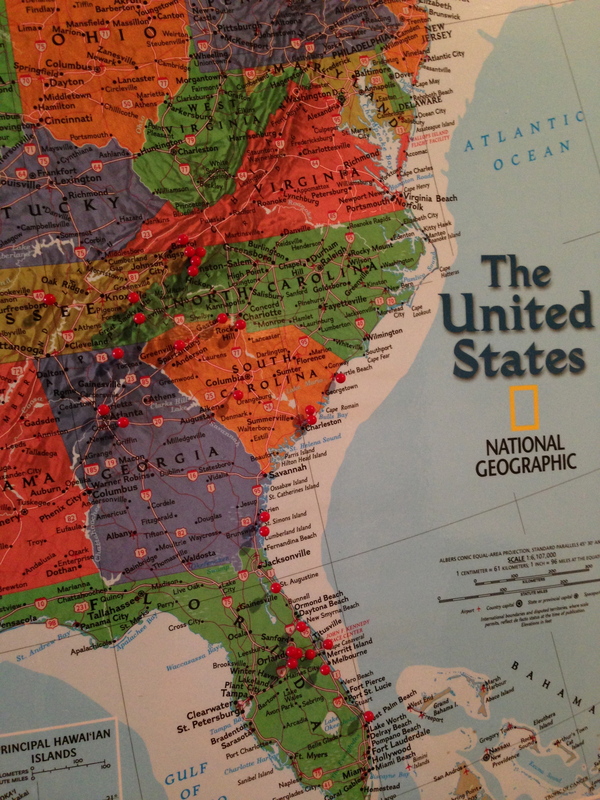 To keep track of our travels and adventures for N, we purchased a map soon after moving to NC. Since that time, we have been pinning the places and storing away the memories. Here is a close up to show you the actual pins. 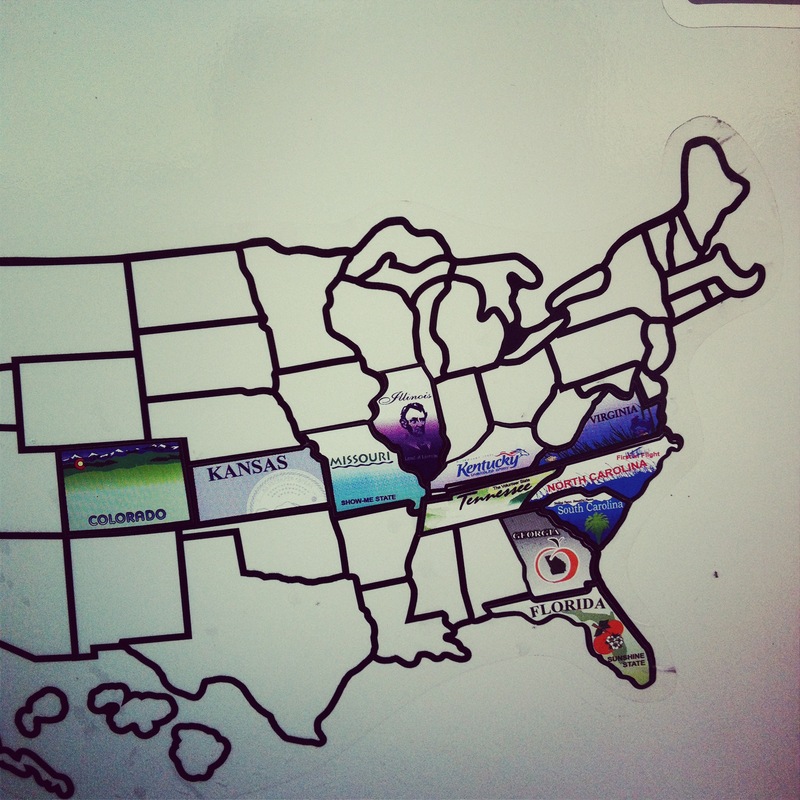 N enjoys coming back from a trip, grabbing the pins and his Daddy and adding one more red dot on the map. He gets excited that he has been to about 10 states already. We plan to add at least 2 more this summer in our travels. Of course, we not only have the map, but we have millions of pictures. I always tell N that his entire life is documented. Here is one of my all time favorites! Does your family love adventures and do alot of traveling? 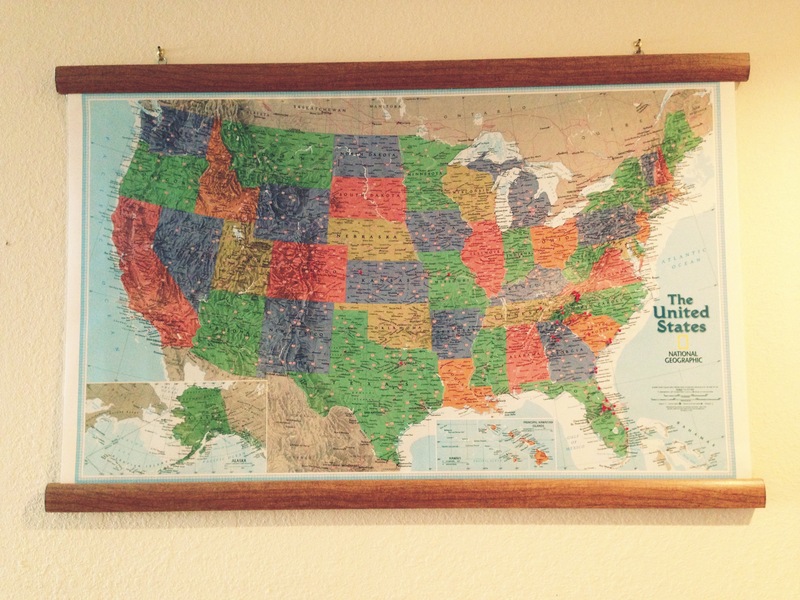 Do you have a way that you document your travels for yourself or your kiddos? Where is your all time favorite place to visit in the U.S.? Sleeping under the stars makes me smile. Sometimes, it is the little things. OMG! That baby picture is the sweetest! Love your map idea! I may have to copy it!!! Amy, I think that was one of his first fly fishing adventures. The map is fun to keep track of and look at, so copy away.